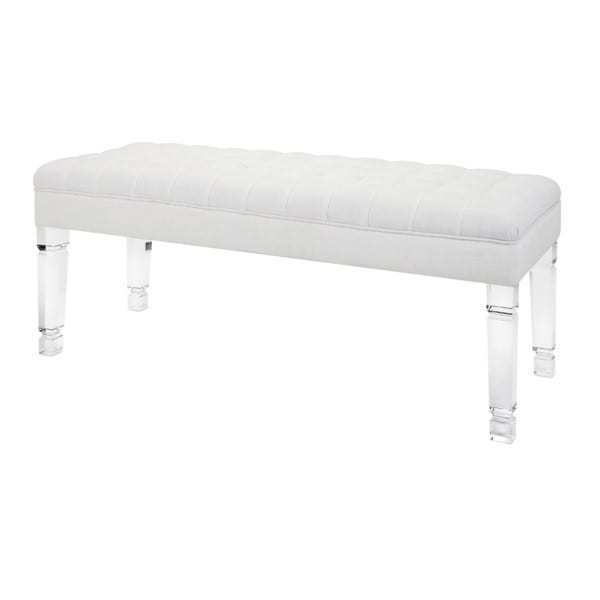 This plush, ample bench is expertly crafted of rich tufted and studded velvet and fine clear acrylic. This plush, ample bench is expertly crafted of rich tufted and studded velvet and fine clear acrylic. A part of the exclusive Nakasa Collection – for your luxe lifestyle.